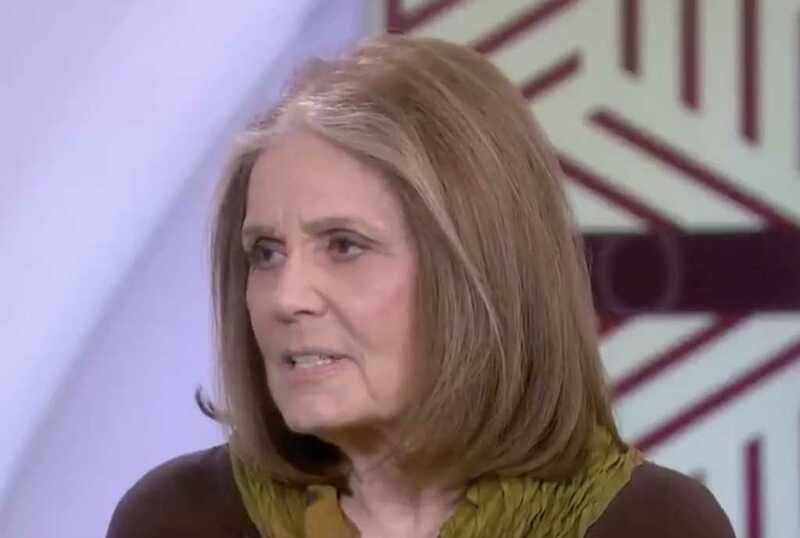 Feminist icon Gloria Steinem, out touting an updated version of her best-selling book “Outrageous Acts and Everyday Rebellions,” argued Monday pro-life conservatives pulled a line from Adolf Hitler’s playbook. Speaking with a panel of co-hosts from NBC’s “Today,” the 84-year-old author and activist compared the pro-life cause to 1930s Nazism. Steinem told the panel of journalists she decided to release a third version of her 1983 book because the essays “are still relevant” today. So Hitler was … pro-life? Steinem’s comparison is as ridiculous as the suggestion Hitler was in any way, shape or form pro-life. Sure, Hitler was at least outwardly opposed to abortion, passing laws that made it illegal for doctors to publicly advertise they performed abortions. But he was an unabashed eugenicist who demanded forced sterilizations. Hitler wanted to to create a “pure” Aryan race. To do that, the Nazis passed the Law for the Prevention of Hereditarily Diseased Offspring in July 1933, forcing the sterilization of any person who suffered from diseases deemed hereditary, such as mental illnesses of any kind, physical deformities, blindness, deafness, alcoholism, and epilepsy. In the early 1940s, the Nazi dictator’s obsession with a master Aryan race took an even more despicable turn, when he sent millions of Jewish people to gas chambers in what we now know as the Holocaust. So no, Hitler certainly would not find a safe haven in today’s pro-life movement. He was only pro-life if the unborn baby’s life met his “pure” (read: white) standard. Steinem is banking on viewers not calling her on her cherry-picked facts about the despicable Nazi leader.